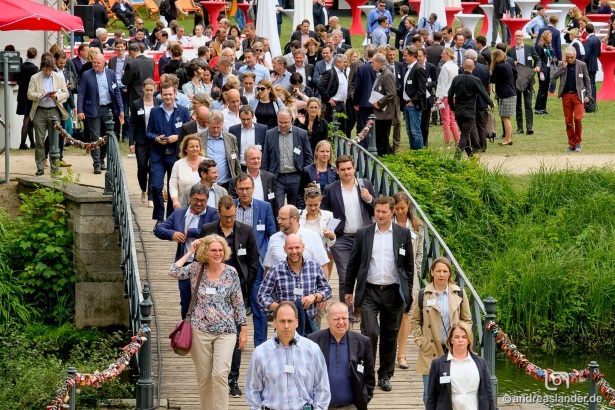 Below you can find the program of the 18th Future Congress of the 2b AHEAD ThinkTank from June 4 and 5, 2019 at Wolfsburg Castle. The early risers of the day can meet in the welcome lounge before the opening of the congress. Feel free to come directly to Wolfsburg Castle from the airport or train station! We will be here to welcome you with coffee and croissants. In the coming years, intelligence will become the most important driver of economic and social development. Mostly artificial intelligence. It is changing our everyday lives ever more rapidly. The error gap between the linear prediction of the future of human intelligence and the exponential reality of artificial intelligence is widening all the time. But the business models of 2029 will undoubtedly determine those actors who are driving the dynamics of the rapid increase in intelligence and who also have so much power that others will have to follow them. Host and futurologist Sven Gábor Jánszky welcomes the congress participants and presents the technology roadmaps up to 2029 in the opening panel. Strategy and technology executives from major key industries will debate what technology roadmaps they are pursuing and how we need to adapt our companies' business models over the next ten years. In business speed dating, congress participants get to know each other in relaxed but compact conversations over coffee. In 30 minutes, you will get to know 30 interesting people, including potential customers and business partners. This short and intense conversation format will give you an overview of the congress participants that are of interest to you. For optimal matching, weeks before the congress, the 2b AHEAD organizing team will speak with every participant. Based on the answers given concerning current questions, projects, and expertise, we will arrange the most promising constellations for business speed dating. Use these introductions as a foundation for deepening conversations later during the congress. Don‘t forget to bring plenty of business cards! In the opening panel you were shown the roadmaps into the year 2029 by the technology leaders of various key industries. But how does this technology change people's lives and companies' business models? The opening keynote paints a picture of our life in 2029 and explains how people's life and companies' business models will change. Take an hour for conversations with your new contacts from business speed dating and other conversation partners over a buffet lunch. Venture a look inside our FutureLounge, where you can test the future technologies that are ready for presentation so far - with your own hands! If you have booked a VIP ticket, your Personal Networking Assistant will now ensure that you can converse with the five contacts that you requested to meet. We wish you fruitful conversations and, of course, Bon appétit! It was the players at the customer interface who were the first to experience the digital change: The established retailers and salespeople, who felt as directly as hardly anyone else the unstoppable consistency with which digital commerce is pushing between manufacturer and customer and conquering consumer confidence with the intelligence of technology. One might think that retail and sales were the first to learn the digital intelligence lesson. Surprisingly, however, in many companies it is still the sales departments that are the biggest slowers of digitalization. Unproven beliefs about the sexyness of haptics, face-to-face trust and the analog advantage of complex products continue to make the rounds. This panel clears up the popular excuses of sales. It describes the development of a 10x more intelligent trade by 2029. What does the "economy of bots" look like when intelligent, digital assistants make the purchase ... on both sides of the table? As the owner of intelligent assistants, does the customer have more or less sovereignty? What do the customer segments of the intelligence era look like? Has our mental horizon really arrived in 2029? Or are we still discussing the little things of the next three years? At the latest, these VisionTalks will actually bring your thinking ten years ahead. After this talk you will doubt your prejudices. Here visions are not frowned upon, but desired! Scientists, inventors and founders will show you in concise talks how they want to change the world. Spinner or visionary - decide for yourself. Let yourself be taken on a journey of the impossible. Shift your horizon: Think big! Let's be honest: Humanity is not even intelligent enough to understand what intelligence actually is. And the augurs are already rumbling that we will soon be replaced as the most intelligent species in the world? Understandably, the majority of homo sapiens are tempted to reinterpret artificial intelligence: It is a second-class intelligence because, despite its cognitive excellence, it lacks social and emotional intelligence. But what if these attempts at intellectual rescue fail? What if human intelligence creates a new kind of intelligence that is superhuman? What would it look like? What can and can't it do? And who is currently building it? This keynote outlines the development of intelligence up to 2029 and beyond. What is intelligence? And what will the world look like when there is more of it? It will question your beliefs about your own me. One thing definitely belongs to the Future Congress: the XXL breaks! These give participants more time for conversation and making new contacts. If you have booked a VIP ticket, your Personal Networking Assistant will ensure that you get to meet your top five contact requests for personal conversation. If you would like to relax for a bit, take a look inside the FutureLounge! Do a live test of the future products that are ready for hands-on presentation today! Five hand-picked founders of successful organizations will present their business ideas competitively at the elevator pitch. Each has exactly two minutes to convince the audience of the merits of his or her business model. An expert jury will rate the pitches. The winner will then be honored with the 2b AHEAD Future Award that evening. Additionally, congress participants and venture capitalists will be given the opportunity to meet with the presenters. The business models pitched at the congress are chosen using a nationwide invitation among entrepreneurial initiatives. What will people's greatest fears be in 2029? It will probably not be the fear of unemployment in a time of full employment in Germany. We futurologists predict the fear of losing significance will rank among the top 3. What is meant is the loss of significance of the human being compared to the new super intelligences. Two counter-strategies of humans are already recognizable today: Some declare fatalistically the competition for the intelligence sovereignty over computers already as lost and want to prevent the emergence of supercomputers. But the others regard technological development as a logical intermediate step of natural evolution. They try to connect their bodies with the intelligence of computers. This keynote describes man's attempt to help shape evolution. It sketches his quest for the preservation of meaning. And it outlines the opportunities for the human brain to connect with more intelligent systems in order to keep up with the battle of intelligences in the coming decade. There is no doubt that there is the greatest momentum at the point where the two strongest trends of our time meet. This is where the pressure for change is greatest. All participants of the Future Congress know exactly this place from their everyday professional life. These are the leadership competencies. Because exactly with the guidance of teams and coworkers, the intersection runs between the trend of the digitization to intelligent assistants and the trend of the full employment, with its radical change of supply and demand, in the job market. On the one hand, the results are human digital teams with all the rational KPI-driven logics of cooperation, leadership strategies and competencies. And on the other hand, the search for meaning by human employees in a world of full employment. "Purpose" becomes more important than money. At the same time, management strategies 2029 must already take into account the fact that the personal development of employees will not take place in the same company for the rest of their lives. The targeted attraction and repulsion of employees then ensures that the probability of being able to win the employee back for a project of their own in two to three years increases. This panel discusses the future of leadership and HR in 2029 and asks itself what a 10x more intelligent leadership strategy will look like and what competencies will 10x more intelligent leaders have in the human digital teams of the future? Each year on the evening of the first day of the Future Congress, the pioneering innovators in attendance at the conference will meet together with businesspeople, politicians, and other prominent personalities for our annual awards evening. In a relaxed atmosphere, the Innovation Award 2019 will be presented to the recipient with the most outstanding innovative project of the past year, and the Future Award 2019 will be given for the best business model from the elevator pitch. Join us when your favorite is recognized, and use this opportunity to deepen earlier conversations and make new contacts! The second day of the congress begins with this year's big visions. Scientists, inventors, and founders of successful organizations will explain how they want to change the world in a series of short talks. They will again challenge your preconceptions of the doable and the possible. Once more, you will find yourself shaking your head - or getting swept up in the excitement! The second 2b AHEAD VisionTalk session is sure to broaden your horizons as well. The Future Congress raises at least as many questions as it answers. In this part of the congress, we give space to those questions you would like to discuss in more detail. At theme tables, you can discuss the consequences of what you have heard for your company with the congress speakers and the experts of the 2b AHEAD ThinkTank. What do the upcoming changes mean for your products, business models and processes? What opportunities do you see and how do you enable your teams to recognize them? 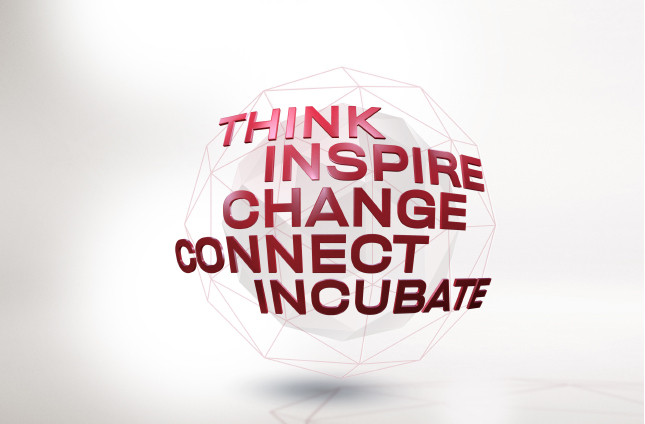 How do you take the inspiration of the Future Congress with you into everyday life? Our table moderators inspire and stimulate the discussions. We expect the greatest changes over the next ten years to come to the healthcare and food industries. Or rather, as these two industries grow together through data-driven business models. There are four fields of technology that will be developed to maturity and mass application in the coming years: 1. The complete analysis of the individual genome, which will be so cost-effective as early as 2018 that health insurance companies will cover the costs. 2. the removal or exchange of dangerous DNA fragments in one's own genome. 3. the production of spare parts organs by 3D printing from own cells. 4. medical food. Medical Food leads to the fact that almost no “lifestyle illnesses" occurs anymore, since the intelligent health assistant always evaluates the real-time data of the body. It warns in advance if a person threatens to become ill and recommends the right medical food individually and situatively to prevent this disease. But what does this mean for the social acceptance of diseases? Will diseases no longer be unfortunate strokes of fate if they are recognizably caused by the personal misconduct of the individual? Will people be considered antisocial if they burden their family, colleagues and environment with their illness despite better knowledge? We also always answer these questions for you, the striving of humans for the optimization of health, beauty and strength of their bodies will reach a new level by permanent real time data from the body. What do we eat in 2029? How will the healthcare industry work in ten years' time? And what are the 10x more intelligent business models that will shape the industry in 2029? In hardly any other industry do the three future technologies artificially intelligent cars, quantum computers and blockchain meet with such force as in logistics and supply chains. This is the reason why we futurologists pay particular attention to forecasting the future of this industry. Because where great technological changes are in sight, there are great opportunities for the innovative and great risks for the timid. It has long been no secret that autonomous cars will fundamentally change the business models of mobility; presumably more so in logistics than in passenger transport. The forecast of almost free driving autonomous fleets based on demand forecasts from quantum computers is only topped by the forecast of free driving autonomous fleets on the Blockchain. So to speak the UBER of Trucks, only without a central authority like UBER. This "Quantum Machine Learning on the Blockchain" we will of course encounter in 2029 not only on roads and rails. Almost all processes in companies are supported by intelligent, digital assistants. In many cases, these bots act independently: They coordinate with each other, negotiate with each other and carry out transactions. By 2029, large parts of today's day-to-day processes in our companies will probably become part of the bot economy. This panel uses concrete examples to discuss the real impact this will have on strategies and business models in supply chains and logistics. What are the efficiency potentials of Blockchain & Co? What new services and business models are emerging for the logistics industry? How are the demands on leadership and competencies changing? How is the role of employees changing?